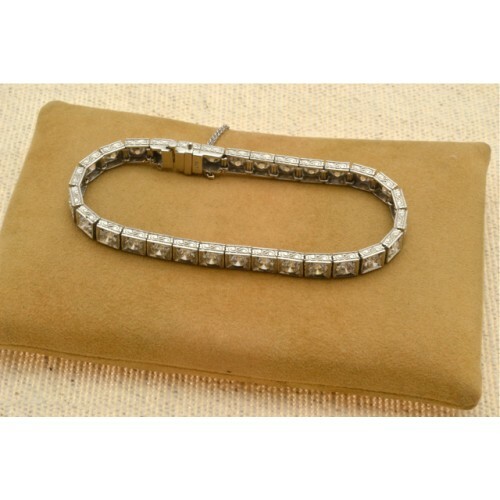 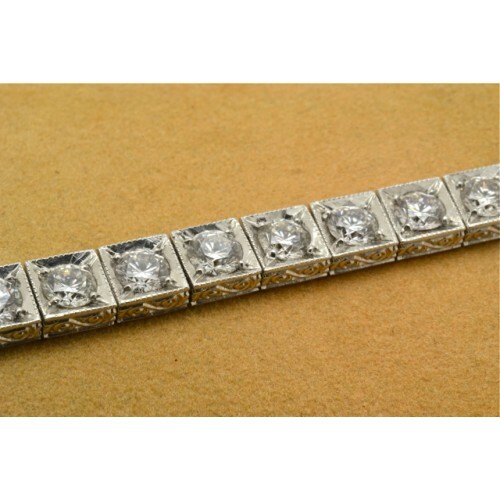 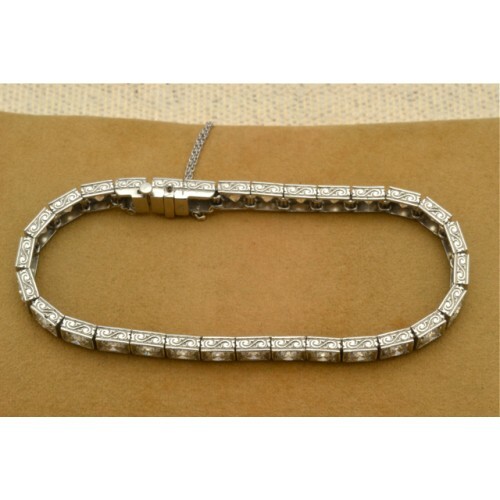 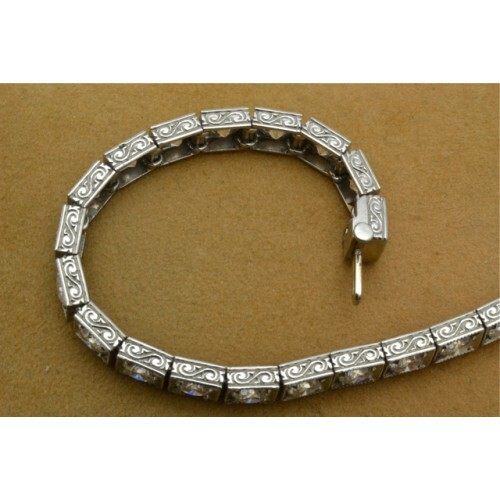 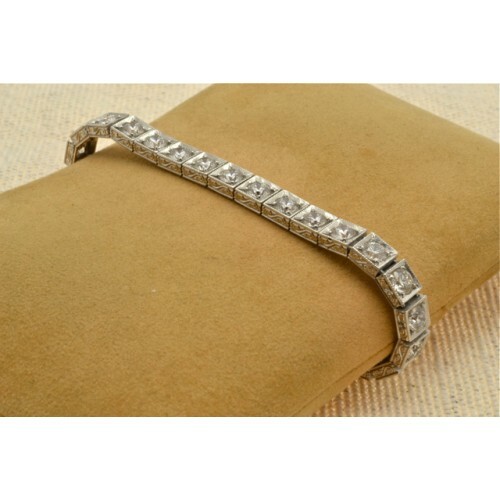 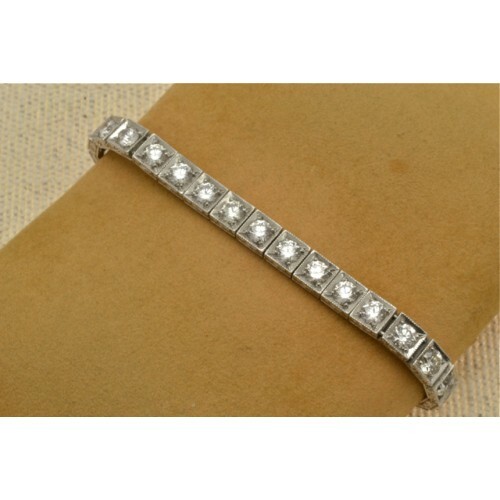 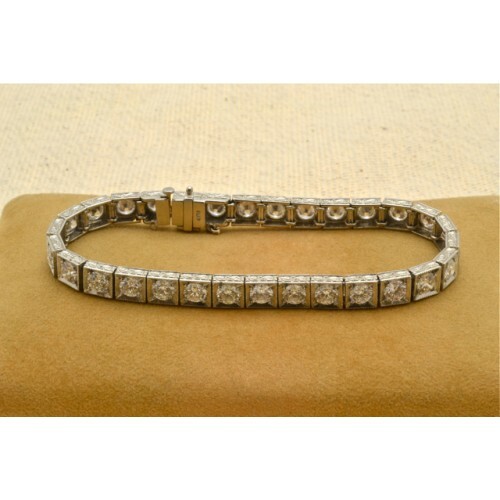 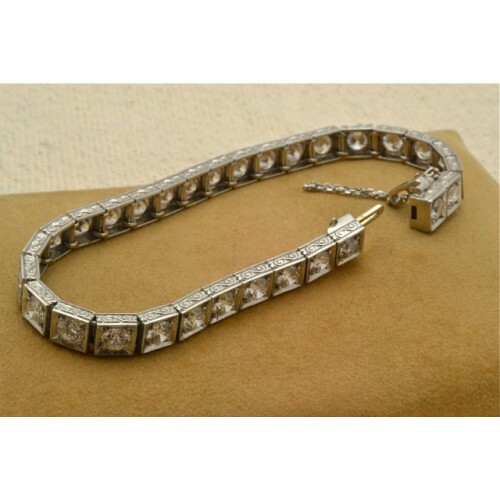 Antique platinum diamond set line bracelet. 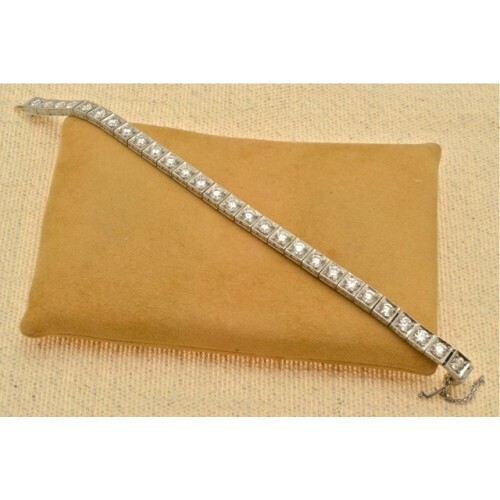 Antique platinum set diamond line bracelet having thirty round old cut diamonds, weighing circa 9 carats, H Colour, SI Clarity. 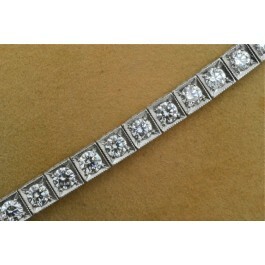 The diamonds are set in individual box sections with millgrain pattern, an integrated clasp.